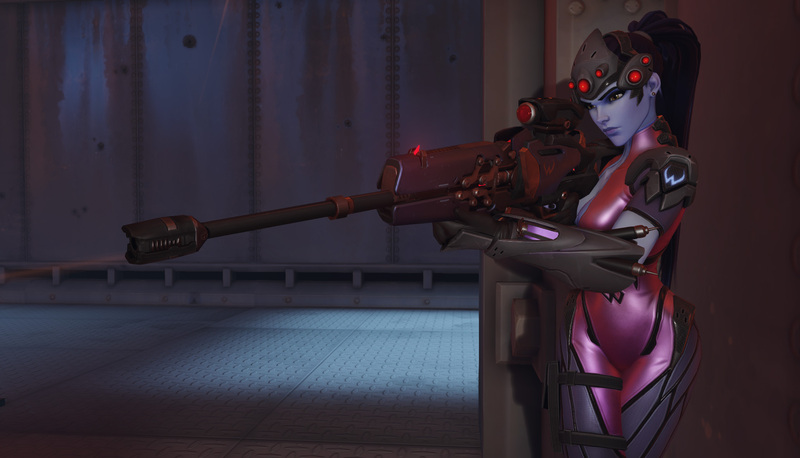 Widowmaker’s versatile sniper rifle is ideal for scope-aimed shots at distant targets. 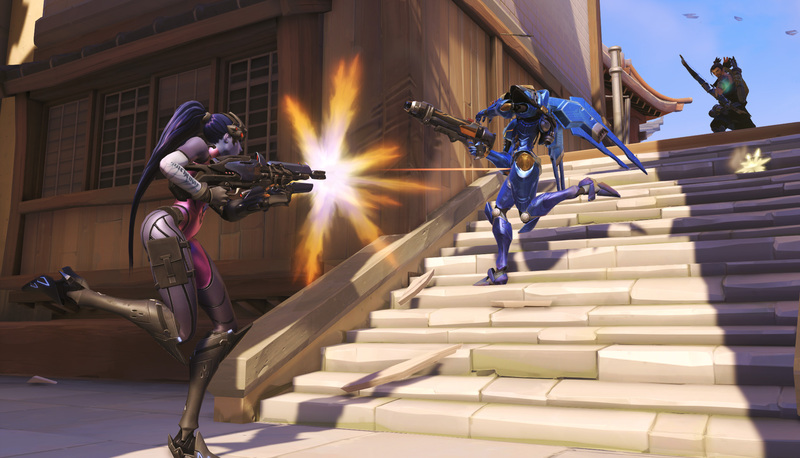 Should targets close to medium range, the rifle can also be fired in fully-automatic mode. 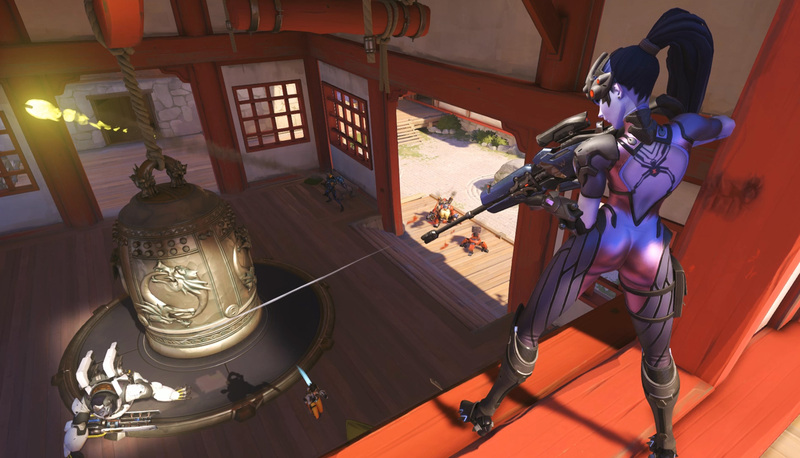 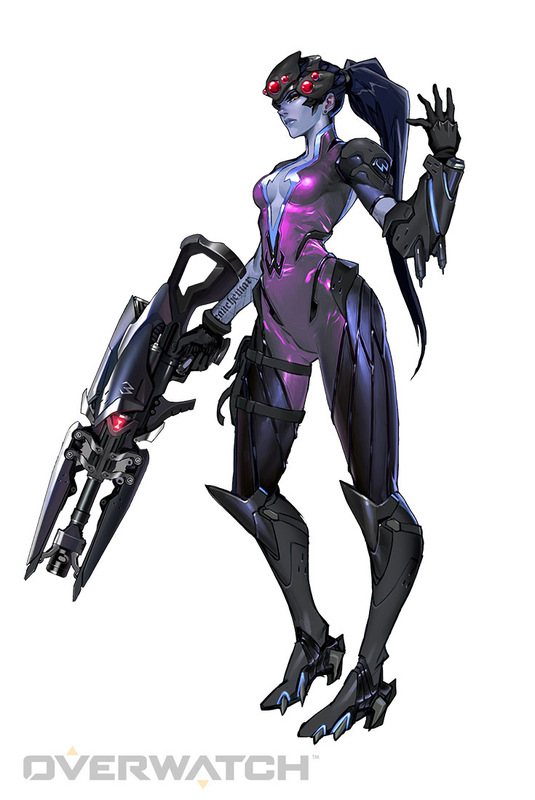 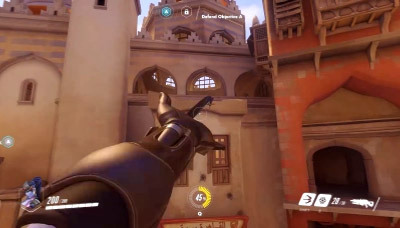 Widowmaker launches a grappling hook towards the location she’s aiming at – when the hook connects with a scalable surface, she’s quickly drawn towards it, allowing her to expand her view of the battlefield and evade or flank targets. 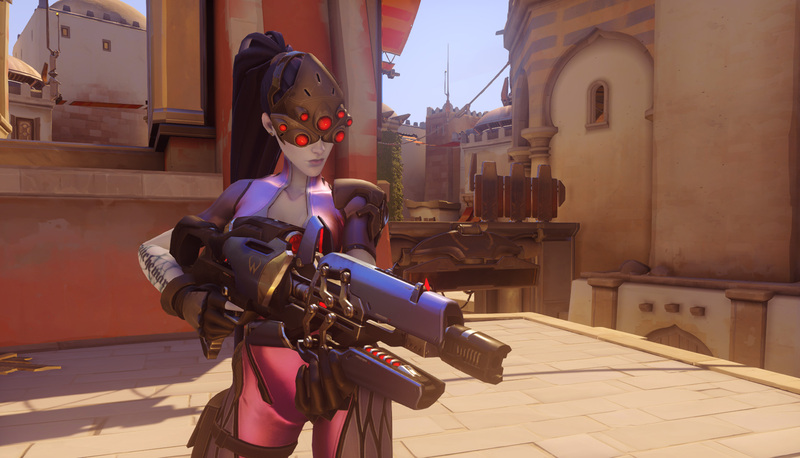 Widowmaker adheres a swiftly-arming venom mine to nearly any surface. 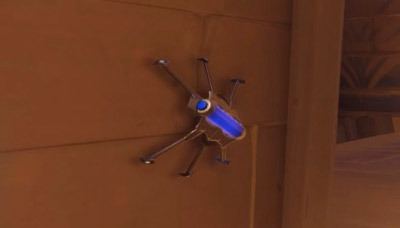 When a target wanders within range of the mine’s motion trigger, it explodes, delivering poison gas to any enemies in the vicinity. 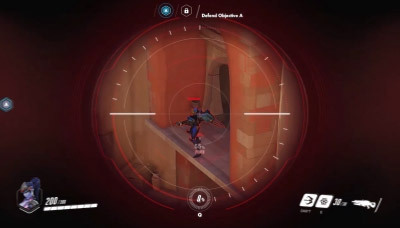 Widowmaker’s recon visor allows her to see the heat signatures of her targets through walls and objects for a moderate amount of time. 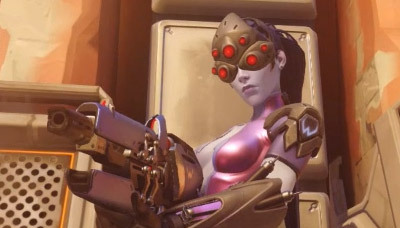 This enhanced vision is shared with her allies.